We offer a cute size Sashiko Thread Card for your Sashiko project. 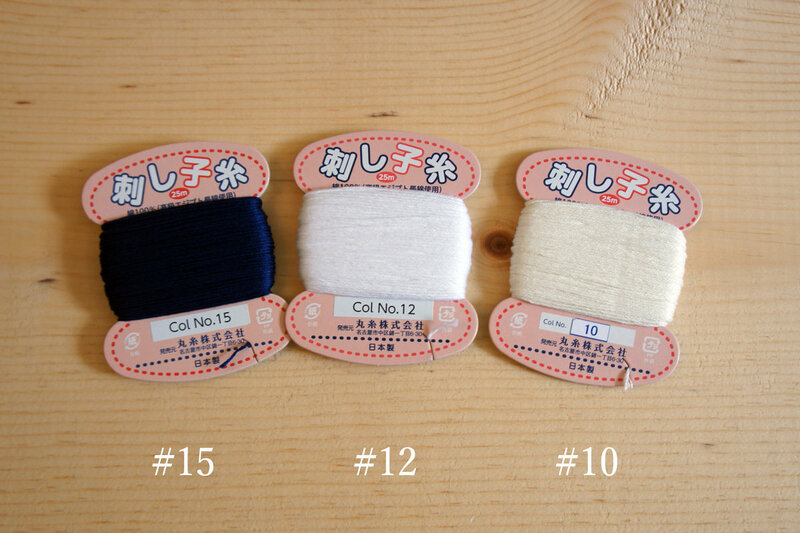 Each card has 25 meters of Sashiko Thread with our long-favored colors. They are ready to use, too! Smaller size but the same good Sashiko Thread. 25 meter long per card. As of now, we have very limited numbers of thread in stock. It may take up to 30 days to restock the thread. We will restock soon over the summer in 2018.